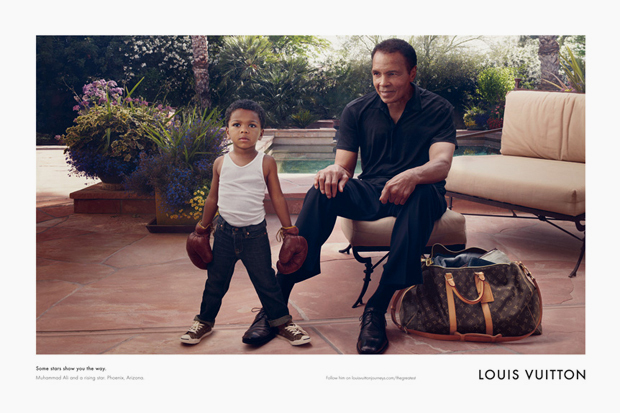 Muhammad Ali has been named the new face of Louis Vuitton’s “Core Values” campaign. The campaign focuses on accomplished individuals and great humanitarians who have made positive differences in the lives of others. Core Values embraces timeless classics in real situations with real people. “Muhammad Ali is the epitome of an outstanding personality – a true living legend in boxing and far beyond,” Yves Carcelle, Chairman and CEO of Louis Vuitton, said in a statement.